Today’s post is a behind the scenes look at a comic strip character I’m building. YOu’ll see my progress and notes about the cartoon little boy. Comic strip characters can be formulaic, original, unique, but all three is a little tougher. More on that later. 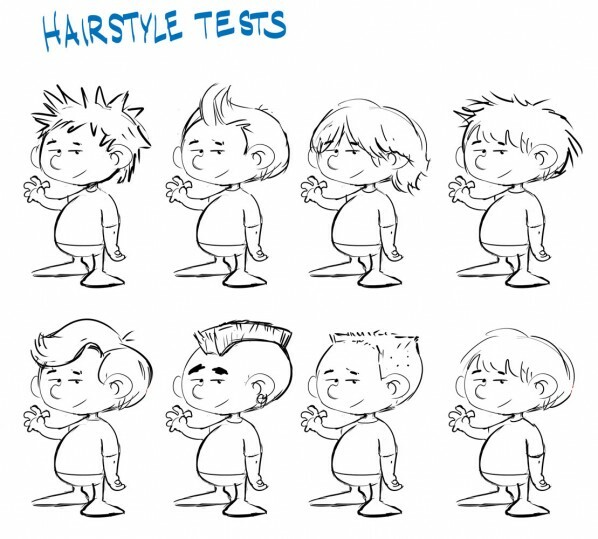 Conceptual cartoons for a comic strip cartoon. 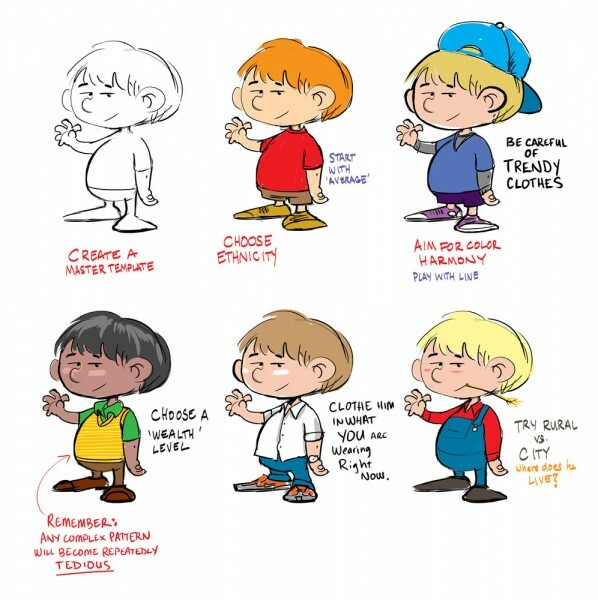 Shown are the steps to creating a comic book boy.